Our firm is specialized in manufacturing and supplying the premium quality Plywood Boxes. They have highly robust construction and ensure the safe delivery of consignments. These boxes can be customized on various parameters as per the specifications demanded by the clients. We are looking for enquiries from Pune & Maharashtra. We are engaged in manufacturing of quality Plywood Boxes that are designed for multiple handling by forklifts, crane, trolley and so on. Built to accurate dimensions, these industrial plywood boxes are shock and scuff resistant. When goods are to be safely transported over long distances, these Plywood Boxes are ideal. The lining of our hardwood wood packaging boxes are made waterproof and contain desiccants and VCI for moisture and corrosion resistance. 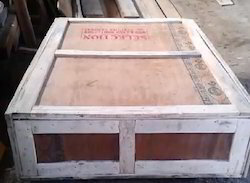 These export quality Plywood Boxes can be tailor made for client needs. 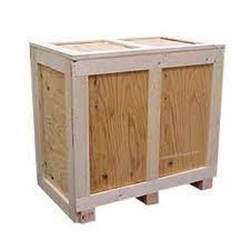 Our Heavy Duty Plywood Boxes are often required for export shipments either in containers or break bulk. The Heavy Duty Plywood Box can be customized on all parameters as required. These heavy weight cases can carry up to 25 tons of machinery weight. Heavy Duty Plywood Boxes are also pest resistant. The quality that we maintain has earned us a lot of appreciation for these boxes from across the world. *** We are looking for orders from Pune and Maharashtra only. Looking for Plywood Boxes ?